The answer, he believes, is the suites' ability to create shared meaning that extends far beyond the here and now. The suites' collective vision – at once divergent and coherent, empathic and objective – reminds us of all that connects us despite an increasingly discordant public conversation. 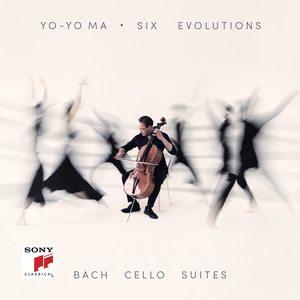 Six Evolutions offers not only an essential encapsulation of what this music means now to one of our most celebrated artists. It is also an invitation to think differently about the role of culture in society. It is in this spirit that Ma embarks on a two-year, six-continent journey, playing all six cello suites in single sittings in locations that provide a window on our cultural heritage, our current creativity and on the issues of peace and understanding shaping our future. This project takes Ma to 36 locations across 6 continents in celebration of culture's role in society. Alongside each concert a day of performance, conversation and action brings people and organizations together to explore how culture can help to address pressing social issues. Ma believes that at a time of rapid change, culture must play a central role in shaping our future. "I share this music, which has helped shape the evolution of my life, with the hope that it might spark a conversation about how culture can be a source of the solutions we need," Ma says. "Music, like all of culture, helps us to understand our environment, each other, and ourselves. Culture helps us to imagine a better future. Culture helps turn ‘them' into ‘us.' And these things have never been more important. It is one more experiment, this time a search for answers to the question: What we can do together, that we cannot do alone? I invite you to join me on this adventure." For more information about the project and all upcoming concerts and events, Follow along on Yo-Yo's Bach Journey with #cultureinaction.